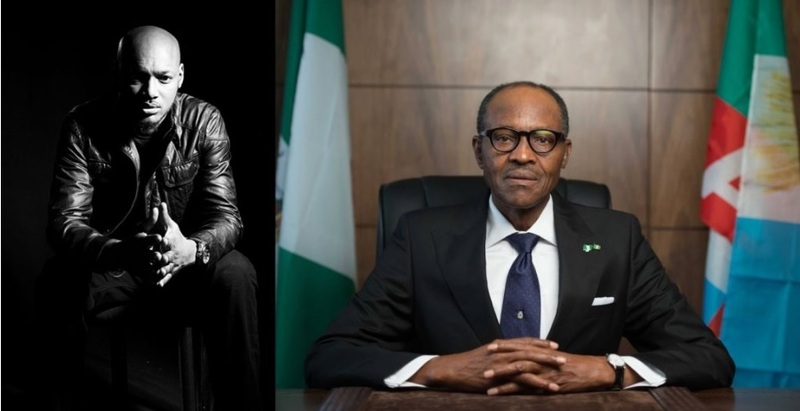 Ah 2baba, it is quite unfortunate that you have cancelled what would have made you immortal in this country and put you in the position of Gani, Fela Kuti and others. Now people can understand the ball you need to have to be in the likes of the above mentioned heroes. 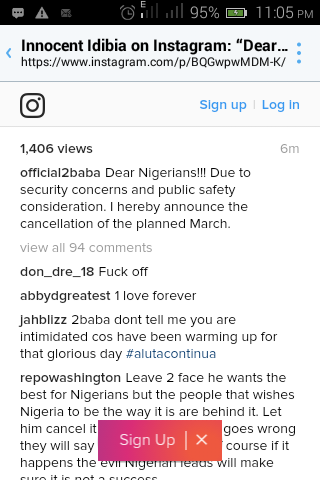 2Baba have cancelled the 6th February Nationwide Protest. I personally knew he doesn't have the balls to pull these off. You are telling Nigerians that you cancelled it because of security reasons and you think Nigerians are that gullible? We all know how it ends but with you 2Baba we actually thought we have another activist voice in this country. No wonder the words of your friend still speaks volumes. Blackface said you are self centered and now i know how true it is. Raising peoples hope and dashing it on the last minutes. God know what they told you to brain wash your brain or what they blackmailed you with. I know is may not be bribe cuz i know you have money already and yet what do i know, after all the rich needs more money. I should have known something is up when the commissioner of police in Lagos State lifted his ban on the protest just like that. Regardless, people can now have the idea of what it takes to be like IPOB and Nnamdi Kanu. Because they are more than capable to protest anytime any day. You shouldn't have started what you know you cannot finish citing security concerns for us Nigerians. Are you for real? Even your peers that have come out to support you, you have succeeded in making fun of them. How do you think they gonna look at you now? At first i even thought your account was hacked cuz government can do and undo just to dislodge this kind of protest but when i saw your video on this effect, i woke up from my dreams. As a blogger, am angry, disappointed and furious.